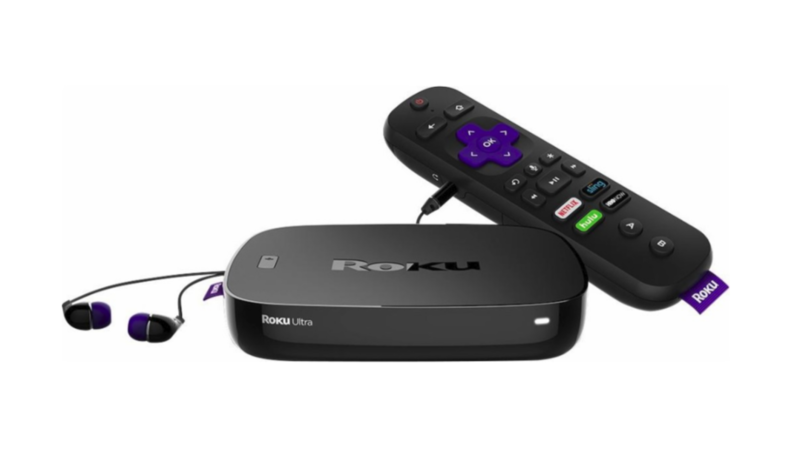 Roku's high-end streaming box, the Roku Ultra, got a hardware refresh and a price cut late last year, falling from $129 to $99. Now, Amazon and Best Buy have it for even less, at $79.99. Roku Ultra pushes 4K/HDR video, and people really like it: it has a rating of 4.4 stars on Amazon and 4.7 at Best Buy. The remote also has a unique feature among dedicated streaming boxes: a 3.5-millimeter headphone jack, so you can listen to your shows without bothering those around you. The device's $99 price tag is already less than something like an Nvidia Shield TV or Apple TV, but the price cut makes the device competitive against the Chromecast Ultra, which also allows for 4K streaming and retails for $69.99. If you decide to pull the trigger, take that 20 bucks you're saving and buy yourself a 4K movie.